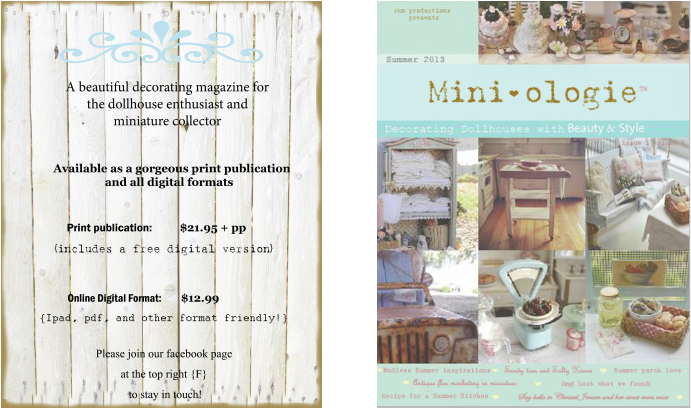 Click this issue of Miniologie to order your copy now! There's a free digital version with every print copy ordered. Thank you! Thank you so much everyone for being patient while waiting for this very special issue! We wish you all a beautiful Spring and Summer , and hope you love this gorgeous dollhouse decorating issue! Please note: Miniologie is currently a 2x a year seasonal publication , and at this time, subscriptions are not available. 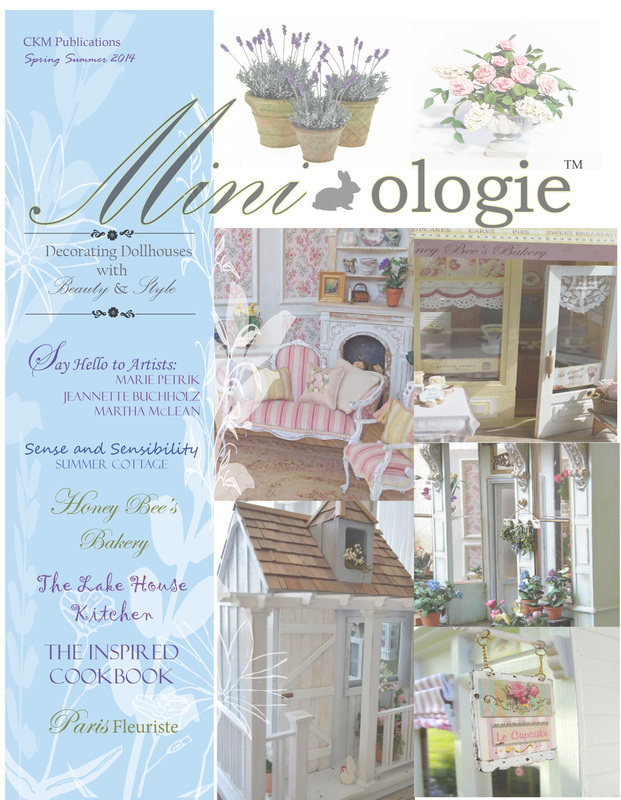 Mini-ologie Winter / Holiday 2013 keepsake Issue...Click the image cover below to order your Winter copy now! Click on the magazine to order your copy... Thank you! Mini-ologie is a trademarked name, please respect all rights.